Sometimes, our lovely clothes can become either too big or too small for us. We outgrow certain things, meaning they’re now way too small, or we lose a bit of weight, meaning they’re now too big. Whatever your problem is, I’m here to show you how you can change the size of your clothes without needing to go out and buy new ones. This can save you so much money, letting you save up for something more worthwhile than replacing old clothes with the same item just in a different size! There are many reasons you might have clothes that once fit perfectly and are now way too big for you. It can be so annoying, especially when you have something you used to wear all the time, and that cost a fair bit of money too. Well, have no fear my friends, you can shrink your precious clothes down to size with ease. Have you ever washed something and found that it came out of the washing feeling much smaller? Usually, you do this by accident, and it ruins your clothes. But, if you wash things on a high setting – and follow this up by drying them in the tumble dryer – you can shrink them down a size or two on purpose. Yes, it really is that simple! I know that some people find short-length jeans or trousers to be quite stylish. However, I think they look a bit stupid. They look like you’re wearing things that are a size too short for you. In reality, this could actually be a problem for you. In which case, you need to lengthen your trousers/jeans instead of buying a fresh pair. How? Well, there are companies like Stitch It that offer hemming services for people. This means they can unstitch the hem of your jeans, and unroll it, so you gain some extra length. It’s a very fast trick and works instantly. Now, you can keep your favorite jeans/trousers, and save money at the same time. It’s finally happened. You’ve outgrown your favorite t-shirt. This is a sad time in your life, and it’s even sadder when you have to pay loads of money to replace it with a replica of your new size. Thankfully, you can try stretching your top before you buy a new one. Essentially, you have to soak the shirt in water, and add some shampoo to it. Leave it for about a 15 minutes, then rinse the shirt off and gently wring it dry. Now, stretch it out to the desired size on a flat surface, and place things on each corner to keep it in place. Let it dry like that – here’s a pro tip, use a dehumidifier to help it dry quicker – and it should now be a size bigger. These three tips are great if you’re broke and in need of some clothes that actually fit. 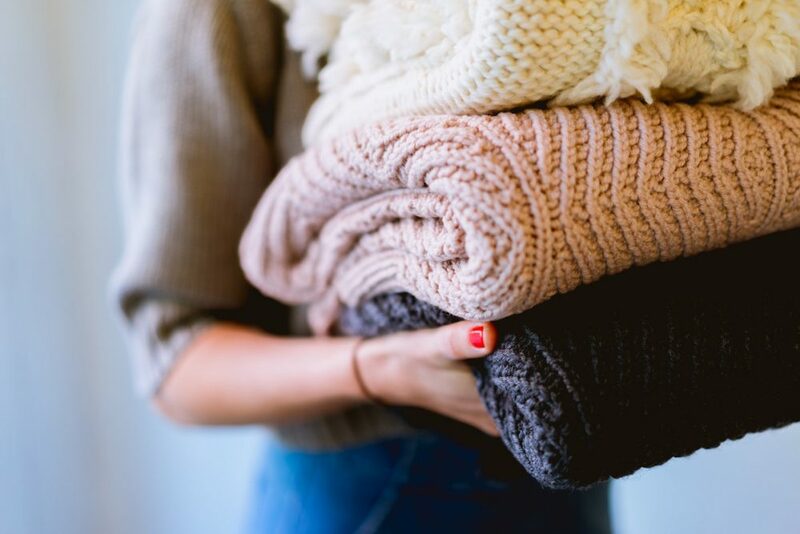 Don’t be fooled into thinking you have to spend loads on new clothes, you can try shrinking, stretching, or lengthening your old items instead.